Loved the place and loved the host! 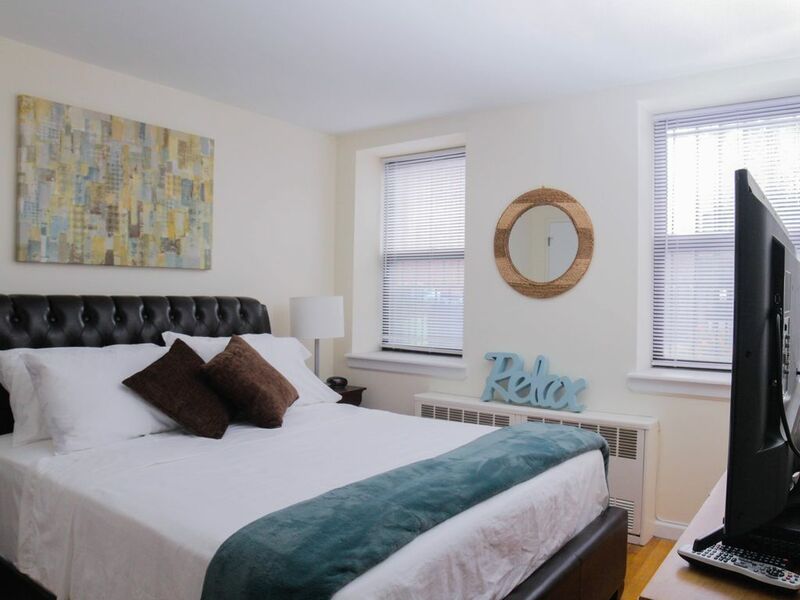 I was hesitant about renting in Brooklyn just because I have only stayed in hotels while in NY, however Denise made it easy for us. She welcomed us when we arrived well after midnight, gave us a tour and also left us a bottle of wine. She was so detailed with providing information on WiFi, transportation, restaurants and parking. I called her during our stay to ask her questions and she responded right away. The house was impeccable. Very clean, a lot of room and very comfortable. Plenty of towels, blankets etc provided. My family and I had such a great experience. We felt safe not only in the house but the neighborhood. I highly recommend and will def return. This was a lovely space for our family. Three floors of space. Beautifully decorated. Near the subway. Less than 30 minutes from Manhattan. Quick Lyft ride to Brooklyn Museum and Prospect Park. This is a find. Three ladies and a teenage boy stayed for 5 days , we were greeted by Denise who was very helpful and friendly . We found the location perfect as we could easily walk to the subway and from there make it all over Brooklyn and Manhattan and once the day was done it was a great escape from the hustle and bustle of the people and traffic . The beds were comfortable and everything you need is there. Kitchen is well stocked with dishes and pots and pans . It was clean and organized and nicely decorated. It was a beautiful apartment. It was decorated beautifully and was very clean and neat. The beds were comfortable and it was located conveniently, near subway and bus stops. Denise was very accommodating when we had a request and she responded in a timely fashion. I would rent again. The townhouse is clean, comfortable and overall pleasant. Comfortable beds and soft sheets. It is a peaceful oasis in a rather rundown neighborhood. The metro station is nearby. Denise was kind.